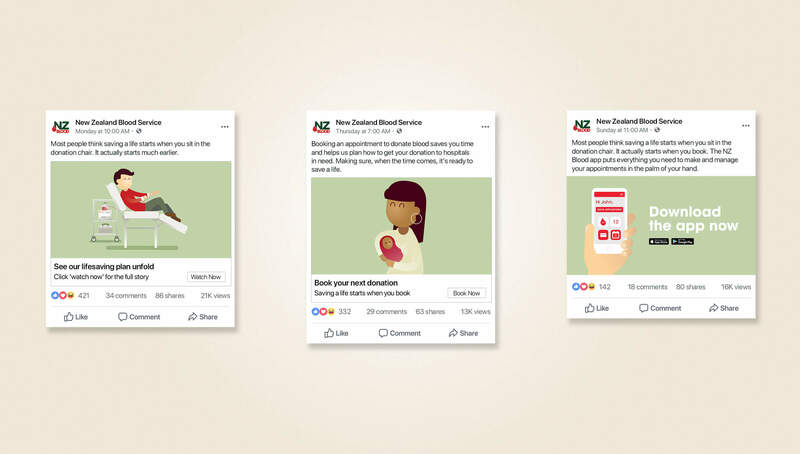 The New Zealand Blood Service has been providing the nation with blood and blood products for 20 years, with a wonderful and active donor base. But with a limited shelf life, managing supply levels across the country is a complex process that requires careful planning – one that only runs smoothly when donors book appointments in advance. Despite a call centre, online booking system and app, NZBS were still struggling with a high number of walk-in donors. They needed a better way to communicate the importance of appointments. But how do you ask someone who is doing a good deed to do it differently? Through a charming animated film, we revealed what happens behind the scenes, showing donors that saving a life starts long before they sit down in the donation chair. The animated film, along with a 30-second cut-down, was rolled out across Facebook, Instagram and OnDemand. Radio and the campaign landing page also added to the media mix, to help educate donors that saving a life starts when you book, not when you sit down to give blood. 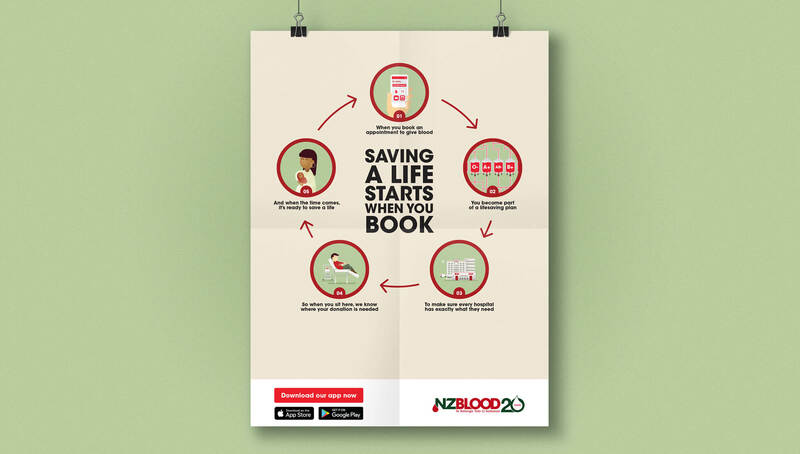 Join the 95,230 Kiwis who regularly give blood by booking an appointment to donate today.